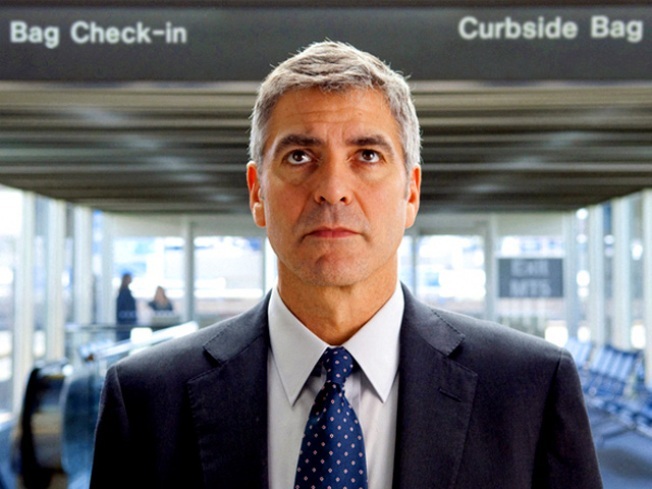 George Clooney stars in Up in the Air. The Golden Globes are a funny business: an award ceremony conducted by a bunch of unknown foreigners who almost certainly choose their nominees based on the quality and value of the contents of the studio goodie bag they receive in the mail each year. A spa day certificate? That gets you a song nomination. MAYBE. If you want to score one of the big categories, there better be a stack of traveler’s cheques in that bag at least an inch thick. - Three of the ten nominees in the two Best Picture categories have yet to be released. Did the Globes panel actually see these movies? Who knows? But that trailer for "Nine" sure LOOKED dazzling! - Eight of the twenty nominations in the four Lead Acting categories are for performances in films that have yet to be released (if you count Jeff Bridges in "Crazy Heart," which opens today). I’ve always had a theory that the Globes are not run by a foreign press association, but rather a secret PR arm of the combined major studios that conspires, every year, to create an award show that serves as an advertising vehicle for holiday film releases. Not interested in seeing "It’s Complicated?" Would TWO Golden Globe award nominations change your mind?! - Of the five dramas nominated for Best Picture ("Avatar," "Precious," "Up In The Air," "The Hurt Locker," "Inglourious Basterds"), George Clooney’s corporate dramedy likely has the best chance of winning. Unlike the other four movies, it’s not too blockbustery, or bloody, or low-grossing. And, unlike "Precious," it doesn’t have babies being thrown off couches. - Someone will win something completely by surprise this year, because the Globe winners are usually chosen by drawing names out of a beret. This year, that surprise winner will be Julianna Margulies. Because why the hell not. - Meryl Streep was nominated twice in the Comedic Actress category: for "Julie and Julia" and "It’s Complicated." And Sandra Bullock was nominated twice, but in separate categories: Drama ("The Blind Side"), and Comedy ("The Proposal"). If either woman wants to win that evening, they’ll have to launch guerilla campaigns against themselves to inspire voter backlash against ONE of their performances. Did you know Julia Child was an anti-Semite? Well, she wasn’t. Still, questions linger. - Peter Jackson’s "The Lovely Bones" wasn’t nominated for anything. This means exactly nothing. Still… SNUB! - Forget about the quality of the movies here. What’s important to know is… of all these nominees, who would give the best acceptance speech when HAMMERED at the Globes ceremony? And the answer to that question, of course, is Robert Downey Jr. Because that would mean he’s fallen off the wagon, yet likely retained his charming roguishness.